The aim of the review section is to cover books and major articles relating to the subject. It will include NEW books and books that are still in print, as well as those that may no longer be available except as Second Hand or via libraries. The basic entry is simply an identifier of the book title, author, publisher and publication date, along with ‘blurb’ taken from the dust jacket or publicity material. The review entry, where there is one, is provided by one of our researchers or sent in by someone who feels they would like to submit a review. All reviews will be moderated by the RAF Heraldry Trust historian. However, the views and opinions expressed in reviews are those of the reviewer and the RAF Heraldry Trust! Where appropriate the entry will be linked back to the Badge in the Badge Register. Likewise, links will be provided from the Badge Register to reviews. 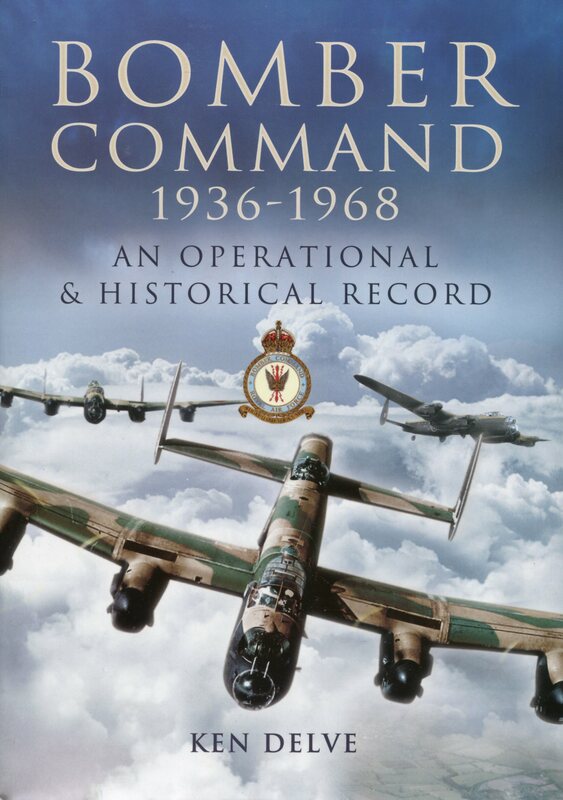 This is a comprehensive reference to the structure, operation, aircraft and men of Bomber Command from its formation on 1936 to 1968 when it became part of Strike Command. It includes descriptions of many notable bombing raids, the many types of aircraft used, weapons and airfields. The five main sections of the book include a general historical introduction and overview, operations, operational groups, aircrew training and technical details of each aircraft type. Lengthy Annexes cover personnel. the squadrons in World War II, accuracy of attacks, orders of battle for each wartime year, maps of airfields locations, tonnage of bombs dropped and nuclear weapons carried in the post-war years. 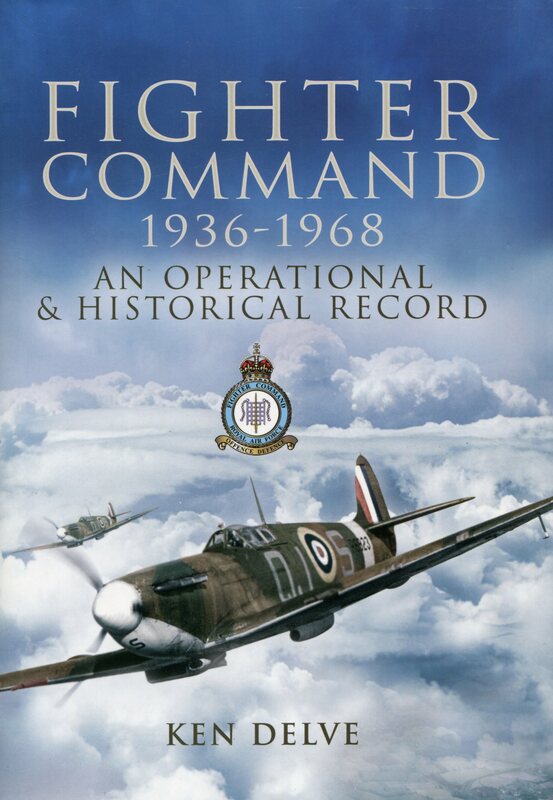 This is a comprehensive reference to the structure, operation, aircraft and men of Fighter Command from its formation in 1936 to 1968 when it became part of Strike Command. It includes descriptions of many notable defensive and offensive campaigns, the many types of aircraft used, weapons and airfields. The main sections of the book include a general historical introduction and overview, operations, operational groups, aircrew training and technical details of each aircraft type. Lengthy Annexes cover personnel, the squadrons in World War II, orders of battle for each wartime year, maps of airfield locations and numbers of enemy aircraft downed. During the dark days of 1940, when Britain faced the might of Hitler’s armed forces alone, the RAF played an integral role in winning the Battle of Britain against the Luftwaffe, thus ensuring the country’s safety from invasion. The men and women of Fighter Command worked tirelessly in air bases scattered throughout the length and breadth of Britain to thwart the Nazi attacks; The Secret Life of Fighter Command tells their story. When RAF Transport Command was created in March 1943, it was formed by the renaming of Ferry Command. The delivery of aircraft from manufacturers to operational units had been ongoing since the start of the Second World War; but was significantly intensified by the supply of American machines flown across the Atlantic from 1940. Later, Transport Command took over the role of dropping paratroops. It even undertook the ferrying of mail from the UK to troops fighting across Europe, using specially modified Spitfires and Hurricanes for the role. After 1945 and the conclusion of the Second World War, Transport Command grew considerably in size.In 1948, it was at the forefront of the Berlin Airlift. It would later serve the RAF particularly well during the Suez Crisis, the Malayan Emergency, and the nuclear trial on Christmas Island.This book covers a pictorial history of Transport Command operations from 1943 through to 1967, when RAF Transport Command was renamed Support Command. During the period immediately before the Second World War, the RAF modified its command structure to rationalize for rapid expansion. Bomber Command was divided into six operational groups, each flying the same type of aircraft, including Wellingtons, Stirlings, and Lancasters. Chris Ward presents us here with the history of 1 Group Bomber Command, having previously acquainted us with the histories of 3, 4, 5, and 6 Groups in four highly acclaimed volumes, published by Pen and Sword. He continues with characteristic ease, quality of research, and narrative pace, to present us with an operational record of the Group’s activities during a particularly dramatic period of aviation history. The book contains individual squadron statistics, their commanding officers, stations and aircraft losses. It provides an exhaustive reference for one of the RAF’s most important operational groups. During the immediate period before World War Two, the RAF modified its command structure to rationalise for rapid expansion. Bomber Command was divided into six operational groups, each flying the same type of aircraft, including Wellingtons, Stirlings, and Lancasters. Chris Ward presents us here with the history of 4 Group Bomber Command, having previously acquainted us with the histories of 3, 5, and 6 Group Bomber Commands in three highly acclaimed volumes, published by Pen and Sword. He continues with characteristic ease, quality of research, and narrative pace, to present us with an operational record of the Group’s activities during a particularly dramatic period of aviation history. The book contains individual squadron statistics, their commanding officers, stations and aircraft losses. It provides a detailed reference for one of the RAF’s most important operational Groups. 6 Group was born out of the British Commonwealth Air Training Plan (BCATP), which, among other things called for the formation of 25 Canadian Squadrons in Britain. This figure was later downsized. The Canadian vision was of a Canadian force operating independently alongside Bomber Command in the manner of the American 8th, but skillfull negotiating by the British resulted in Canadian Bomber squadrons operating within the RAF under RAF control but funded by Canada. On the 1st of January 1943 most of the existing RCAF squadrons were brought together on stations in North Yorkshire and County Durham to form 6 Group. By the end of the war 14 Squadrons were operational and one other had been posted to the Pathfinders. After an uncertain beginning the Group became an efficient and valuable contributor to Bomber Command’s campaigns. Beginning predominantly with Wellingtons the Group was re-equipped with a mixture of Halifaxes and Lancasters, including the Hercules powered MkII and the Canadian built MKX.